Dean's Boardroom. Faculty of Arts. Péter Róbert: Freemasonry. 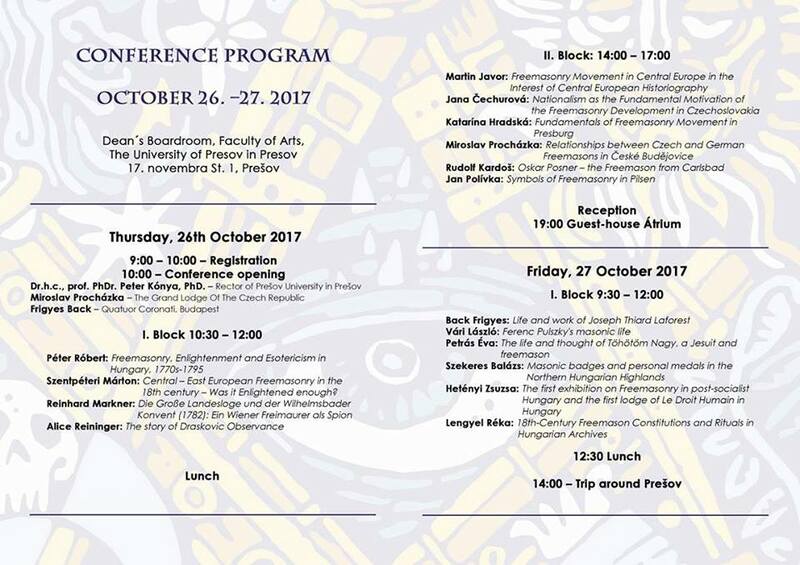 Enlightenment and Esotericism in Hungary. 1770s-1795 Szentpéteri Márton: Central-East European Freemasonry in the 18th century - Was it Enlightened enough?